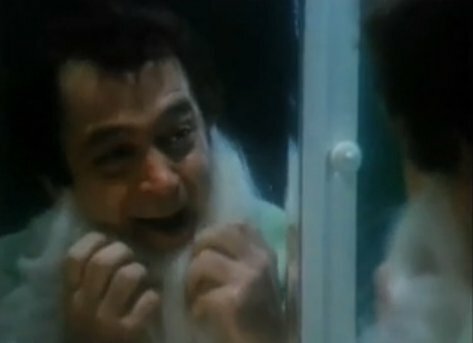 "Christmas Evil" (1980) starring Brandon Maggart, Jeffrey DeMunn and Dianne Hull is a strange Christmas themed horror movie. Harry Stadling (Maggart) had a traumatic incident during his childhood involving his mom and his dad masquerading as Santa. He has had a weird obsession with Christmas ever since and as an adult his works in a toy factory. He also keeps tabs on neighborhood children and writes down in his naughty and nice book whether they are good or bad. Harry is a lonely man living alone with some connection to his brother and his family. 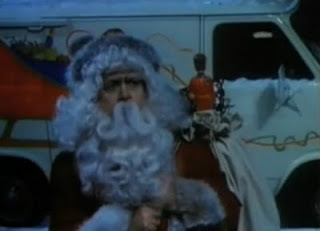 This Christmas though, he has descended full on into madness and becomes a demented Santa Claus once and for all. He actually does some good deeds as Santa but some terrible ones too. The movie has a few bloody scenes but not too gory. It is mainly a story of a man who becomes a very creepy and sinister Santa!